Set includes:1 each of size #1, Body Dia. 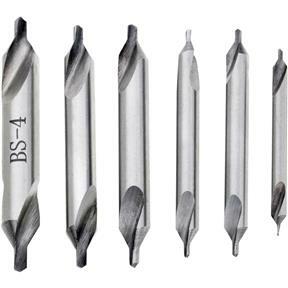 : 1/8", Drill Dia. : 3/64", O.A. Length: 1-1/2"2 each of size #2, Body Dia. : 3/16", Drill Dia. : 5/64", O.A. Length: 1-7/8"2 each of size #3, Body Dia. : 1/4", Drill Dia. : 7/64", O.A. Length: 2"1 each of size #4, Body Dia. : 5/16", Drill Dia. : 1/8", O.A. Length: 2-1/8"
1 each of size #1, Body Dia. 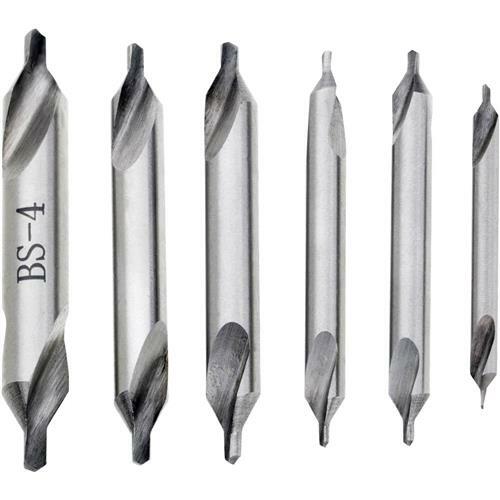 : 1/8", Drill Dia. : 3/64", O.A. Length: 1-1/2"
2 each of size #2, Body Dia. : 3/16", Drill Dia. : 5/64", O.A. Length: 1-7/8"
2 each of size #3, Body Dia. : 1/4", Drill Dia. : 7/64", O.A. Length: 2"
1 each of size #4, Body Dia. : 5/16", Drill Dia. : 1/8", O.A. Length: 2-1/8"
A good example of the quality of Grizzly products.